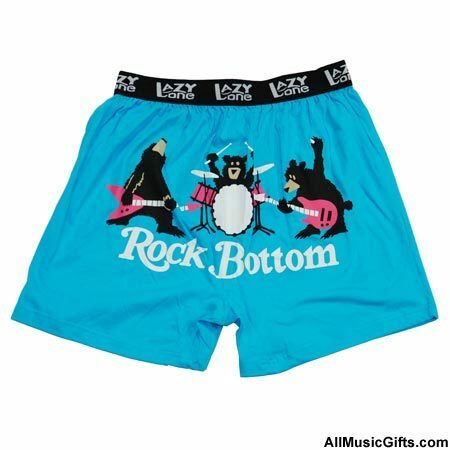 Rock Bottom Boxers – Youth – *CLEARANCE! Add a little extra personality to your wardrobe with these stylish Rock Bottom Boxers! The colorful shorts have three bears playing the drums and guitars in a rock band. The 100% cotton boxer shorts provide comfort and style. Features an elastic waistband and a fly. Great for kids. Available in sizes: Small, Medium, and Large. We also have Rock Bottom Boxers – Adults! Unique Music Gifts for Musicians!